The girl done up like Superwoman looked pretty good. The guy in the tutu? He made me feel strangely overdressed. 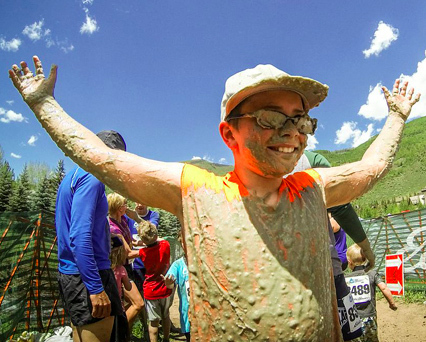 I was at the starting line of the Eddie Bauer Mud Run, a popular “competitive” event at the GoPro Mountain Games. Dressed in running shorts and a tech shirt, no bling on my body, I felt a bit out of place. At the “GO!” the pack surged, and I started to jog forward with 300 or so other mud runners on what would be one of the weirdest races of my life. 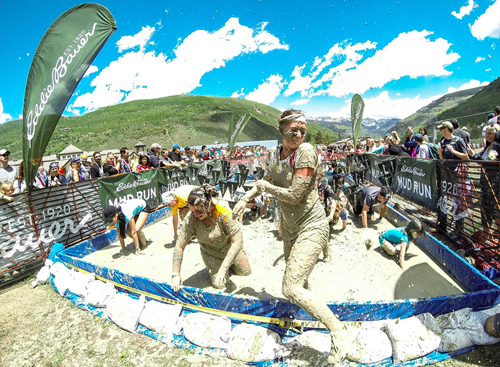 Mud runs are a trend around the U.S. They mix a race format with obstacles, knee-deep sludge, standing water, and a vibe that’s more “Mardi Gras” than a competitive event. Perhaps it was my lack of costume, but at the Vail race instead of partying with the pack I found myself duking out the lead spot with a young runner pacing hard. We crested the course’s first hill. I took the lead, and I never looked back. By the finish line less than 20 minutes later, I was wheezing and muddy, sprinting into the end in first-place so hard that the event announcer didn’t even notice. I had won the mud run, and nobody cared. They were too busy having fun. 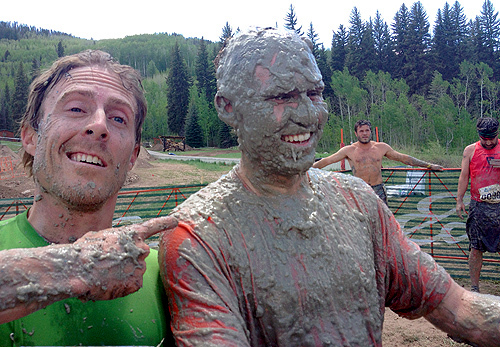 Continued on next page: “6 Tips for Your First Mud Run”. . .